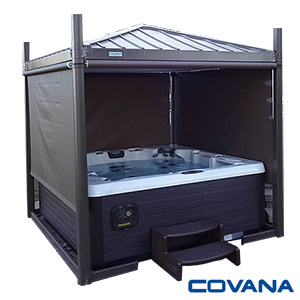 The Covana Oasis Automated Hot Tub Cover Gazebo is a fully automated spa gazebo designed to provide years of trouble-free protection and performance. 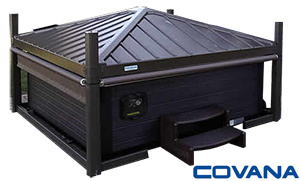 This four-seasons gazebo can be raised and lowered with a key switch, saving you the trouble of lifting the cover manually. It seals the spa, keeping heat and energy in.